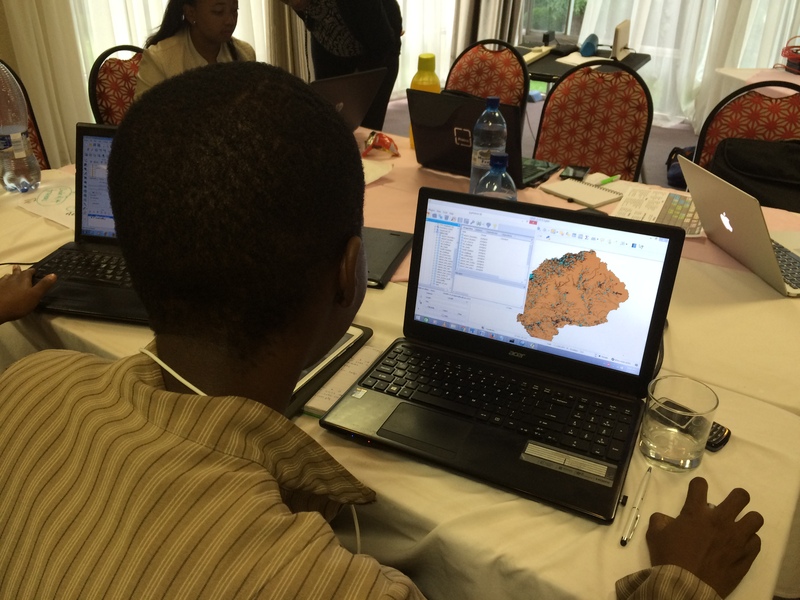 This last week has been eye opening for me once again, I have been working with a small group of assistant physical planners on how we get hold of an extract of OSM for Lesotho, how do we load this into our chosen GIS tool (postGIS) and finally what sorts of exploratory analysis is possible. Thanks to the lovely folks at geofabrik we have a daily Lesotho OSM extract. It takes the form of an osm.pbf file. It was a week of new experiences for all the APPs, they had for one never touched the command line before. Something you really need to know if you want to use osm2pgsql to get your pbf file into your database. We are now able to easily perform some high level spatial analysis using the data in each of these tables. Have you used the command line before? It’s not so easy to get started with right? After a rocky start all our guys are flying along with it now, it’s no longer scary! They are updating the database everyday! We chose to take on the challenge of training the APP’s to use PostGIS for their analysis as it we felt it was the most performant for them to work between periods of online connectivity. Watch out for some details of the spatial analysis that will be falling out of these five newly trained spatial analysts!